Start Your Training in Telecommunications Today! BICSI provides the training you need for voice and data cabling, designing telecommunications systems, firestopping, grounding and protection fundamentals and more! 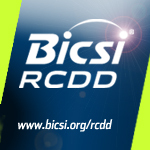 With courses, BICSI codes and standards, credentials and publications, it's easy to get started in the telecommunications industry. ATIS and the SIP Forum have announced the formation of a Joint Task Force to fully specify an IP communications network-to-network interface (NNI) between North American service providers. The Joint Task Force will ensure all service interconnection between providers occurs at the Internet Protocol (IP) level. By enabling ubiquitous IP-based interconnection, the new Task Force will support wide-scale availability of IP-based voice services, and lay the groundwork for ubiquitous advanced real-time communications such as high-definition voice, point-to-point video calling, and multimedia text across wireless, wireline and cable providers.